After the blended mixture came out of the food processor, it’s mixed with bread crumbs, and the other can of drained and rinsed black beans. Then salt and pepper is added. Grilled on grill pan or grilled outside. The left two burgers were overdone, but fine, since I had to run to get the door. The burgers do well on bread or on just lettuce too. Either way is delicious. 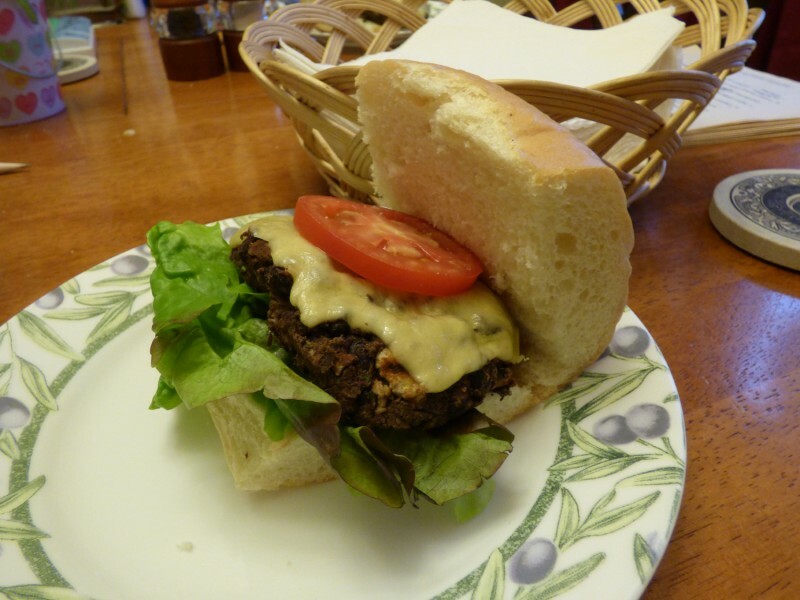 These black bean burgers from Food.com, courtesy of Sandra Lee, are really good! 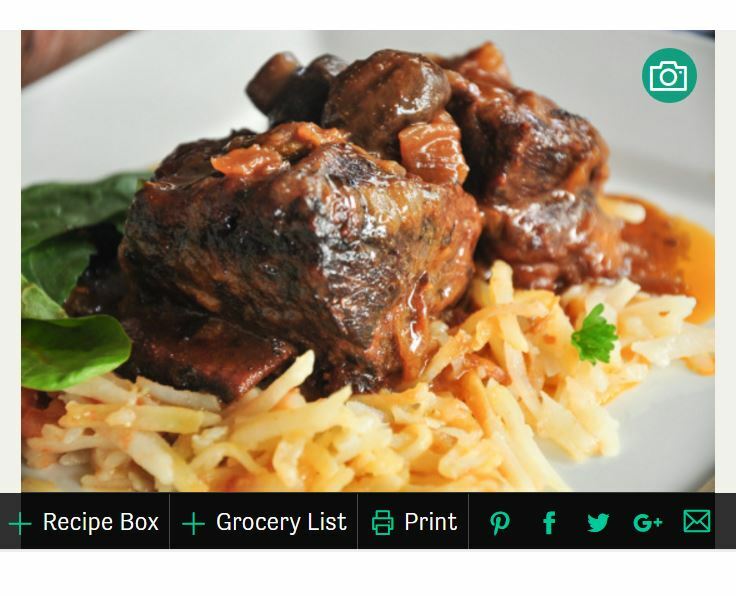 I’m not just saying that to healthify my cooking blog; they really are good. I also love that when you go to clean your grill pan, there isn’t globs of beef fat that you have to scoop up. Just a soapy sponge takes care of it all. We had to omit the egg because of an egg allergy, but I added 1 tsp. of vegetable oil to help it all stick together. I used fresh garlic but replaced the onion with onion powder and it turned out fine. The picture shows the burger on bread but the next day I had another black bean burger plain, without bread, and enjoyed it more! Bread can get too ‘bready’ and ruin a burger for me. 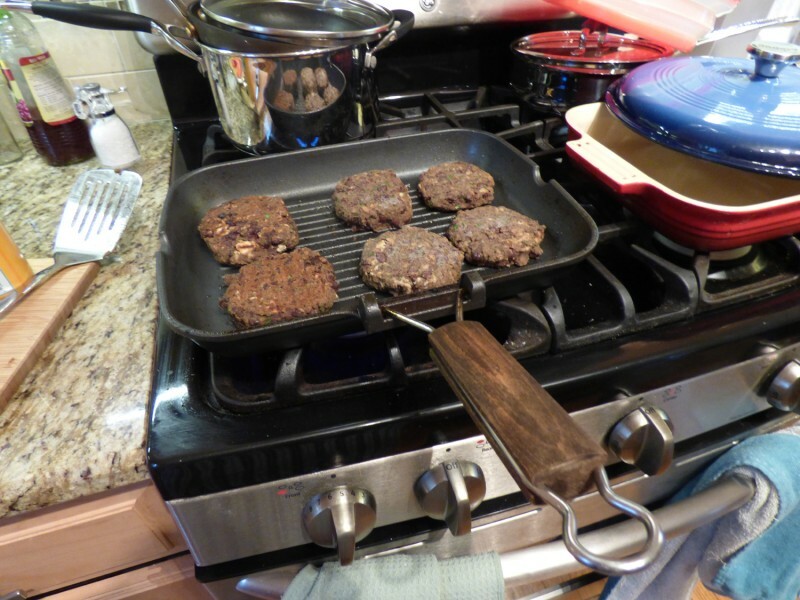 Makes 5-6 burgers. Prep time 15 mins, cook time 12 mins, total time 27 mins. Heat a grill or grill pan over medium-low heat. In a food processor, pulse onion and garlic until finely chopped. Add 1 can black beans, cilantro, parsley, egg, and red pepper flakes and pulse to combine. 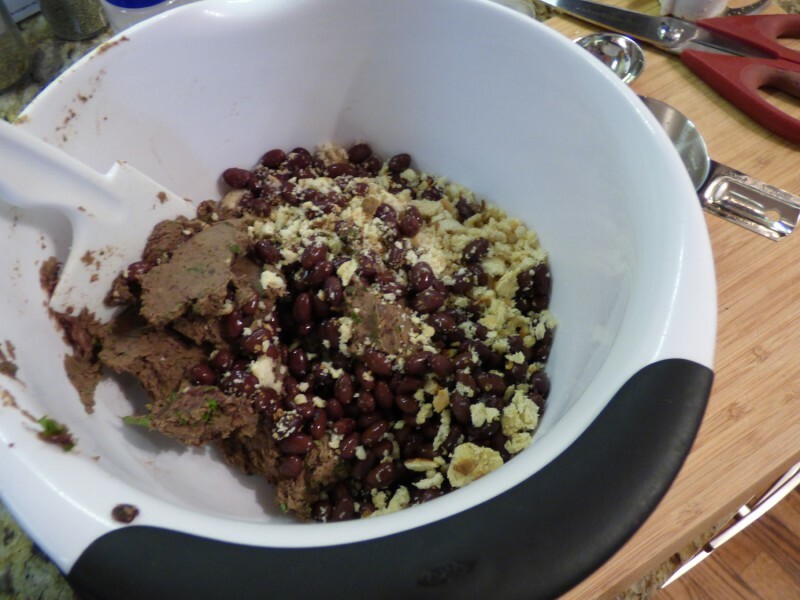 Transfer mixture to a large mixing bowl, add the remaining can of black beans and the bread crumbs. Season with salt and pepper, to taste, and mix until well combined. Divide remaining mixture into 5-6 portions and form into patties. Place on hot oiled grill over medium-low heat and cook about 6 minutes a side or until heated through. Toast hamburger buns on a grill. Place a burger on the bottom of each bun. Top with lettuce, tomato and ketchup, if desired. Cover the burgers with the top of the bun and serve. **Photo by SharonChen above. My photos weren’t great this time and I forgot a photo of the finished product – I probably was too hungry! Okay, these photos won’t show how amazing this dish is. There’s no way to explain just how good these beef ribs turned out. The red wine vinegar tenderized them to perfection. It’s so good just remembering this dish I want to make it again! Well, I had to make changes to this dish but it turned out A+. I used onion powder instead of the chopped onion and omitted the chili sauce because I can’t have it. It was still wonderful! Put flour, salt, and pepper in a bag. Add ribs and shake to coat. 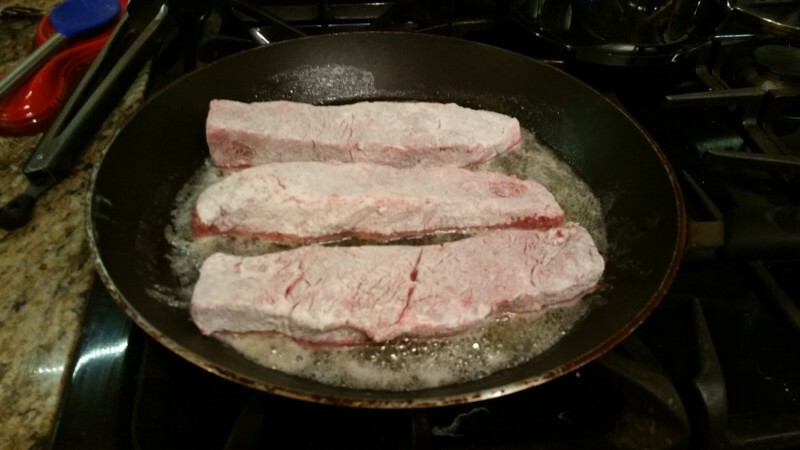 Brown ribs in butter in large skillet. 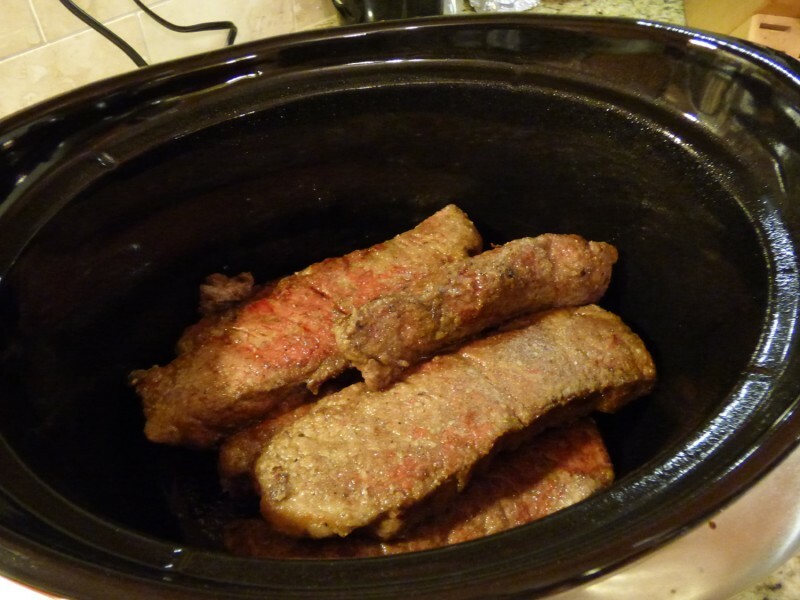 Put browned ribs in slow cooker. In same skillet, combine remaining ingredients. Bring to a boil, stirring, then pour over ribs. Cover lid and cook on low for approximately 9 hours. ABOVE: The ingredients in the bread machine pan. Liquids on bottom, dry ingredients in the middle, and then the yeast on top. ABOVE: A few minutes into kneading, open the lid and use a spatula to push any flour pockets down into the dough. (See top left flour pocket clinging to side of bread pan). 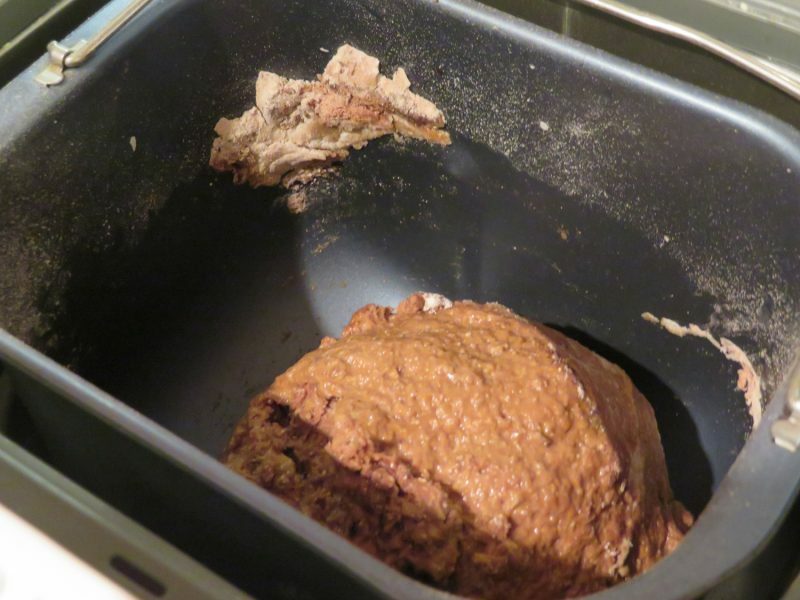 You’re going to love this dark pumpernickel bread with the ease of the bread machine! It’s just perfect. 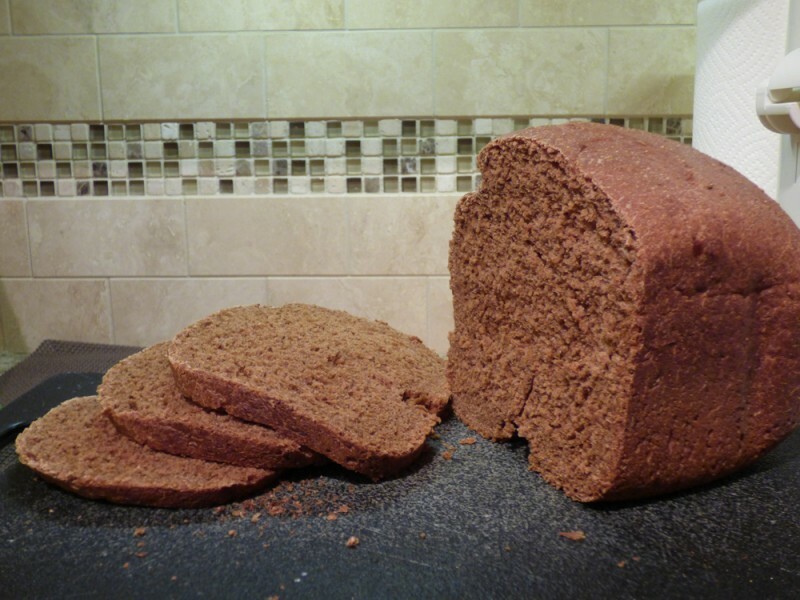 I’m not a fan of light rye bread, but I love dark rye! It does use three types of flour, which may turn off some people, but it’s quite easy. **Always store your whole wheat flour in the freezer; ask America’s Test Kitchen if you doubt me. **Spray your measuring cup before pouring molasses into it for easy cleanup! Enjoy! 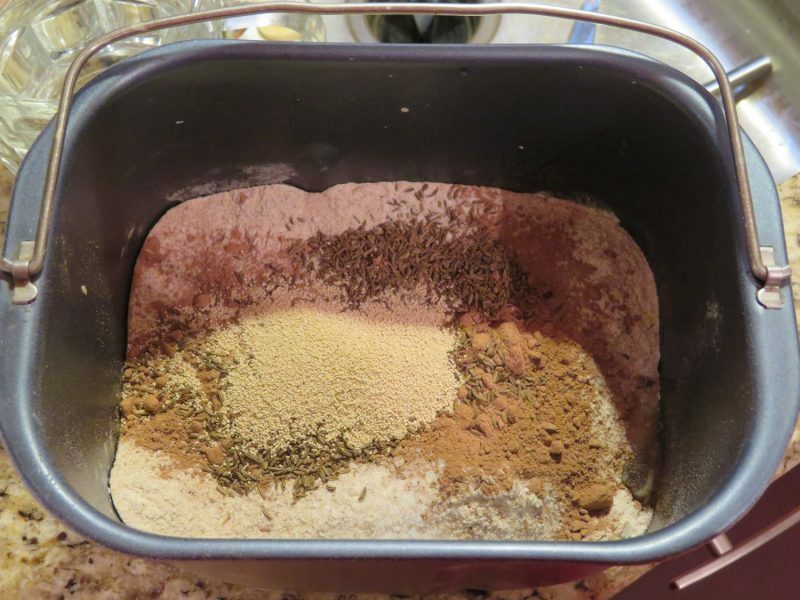 1 1/2 tablespoons caraway seeds**? Select crust type to “light”. Select 1.5 pound loaf size. Check while the machine is kneading. 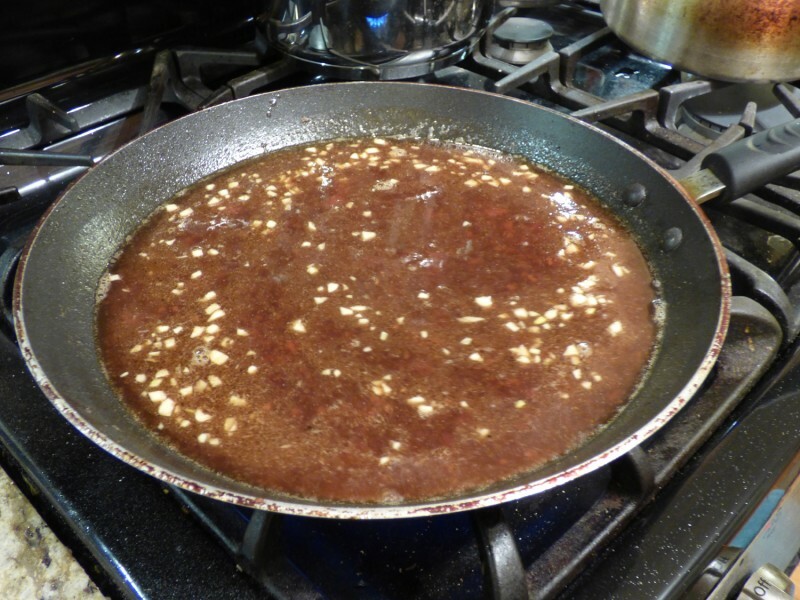 If mixture is too dry, add a tablespoon of warm water at a time. If mixture is too wet, add a small amount of flour at a time. The mixture should go into a ball form and be just soft and slightly sticky to the touch.